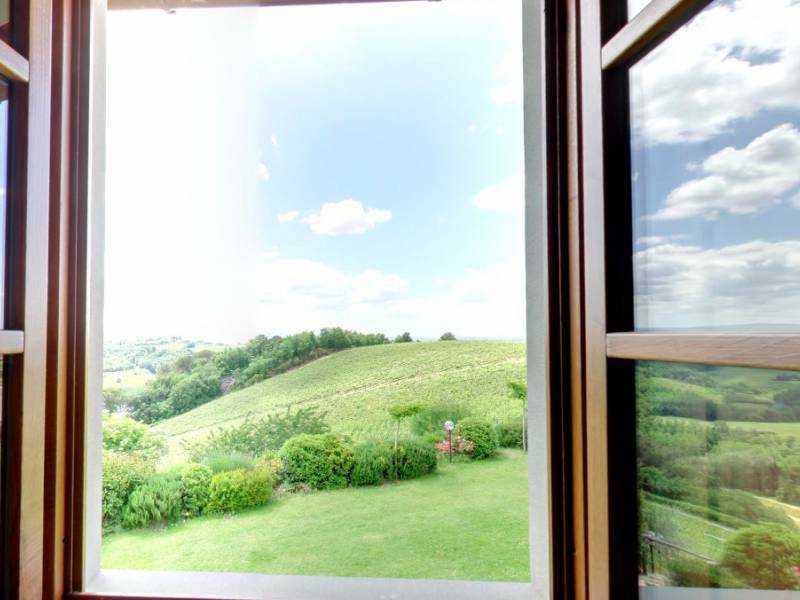 The agriturismo is beautifully located on a hill in the Chianti area, between Florence and San Gimignano. For 3 generations the owners grow here grapes and olives to produce wine and extra virgin olive oil. 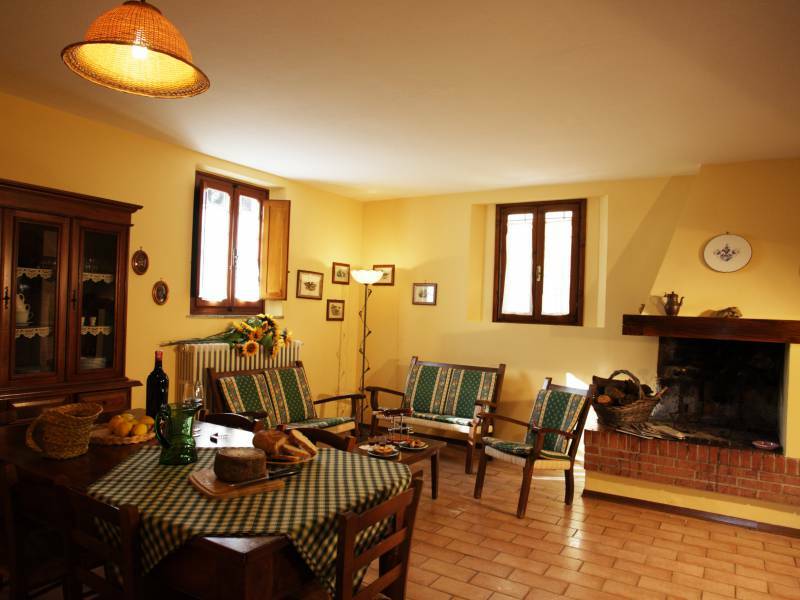 The agriturismo consists of two farmhouses. 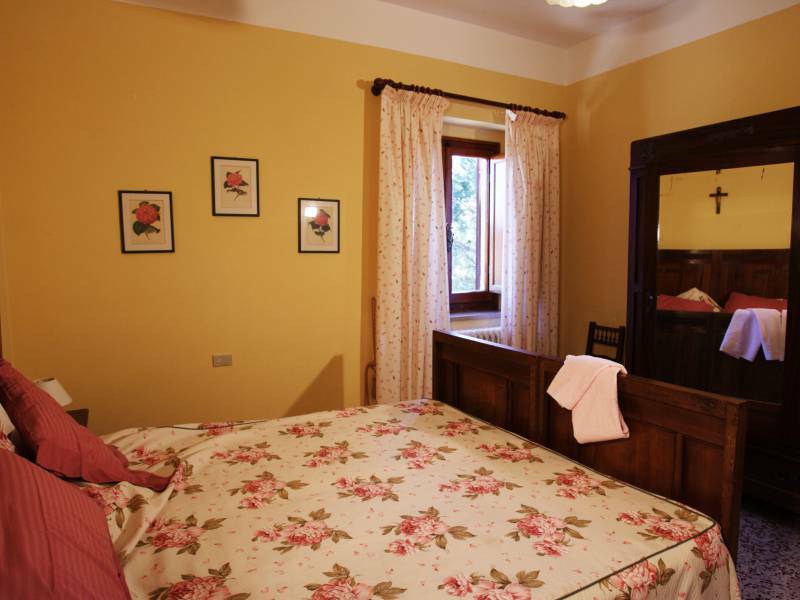 In the yellow farmhouse the apartments are located and in the pink farmhouse (called the Locanda) the restaurant and rooms. Here occasionally weddings are organized. Both the apartments and the rooms have their own swimming pool. 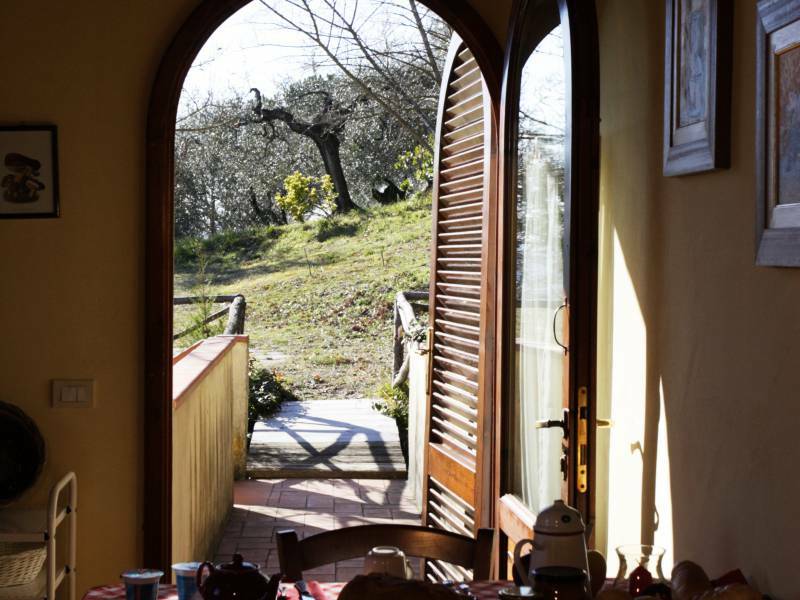 Upon arrival at the agriturismo, you are welcomed by Sabrina, who works at the reception. She is very friendly and always willing to provide you with information. 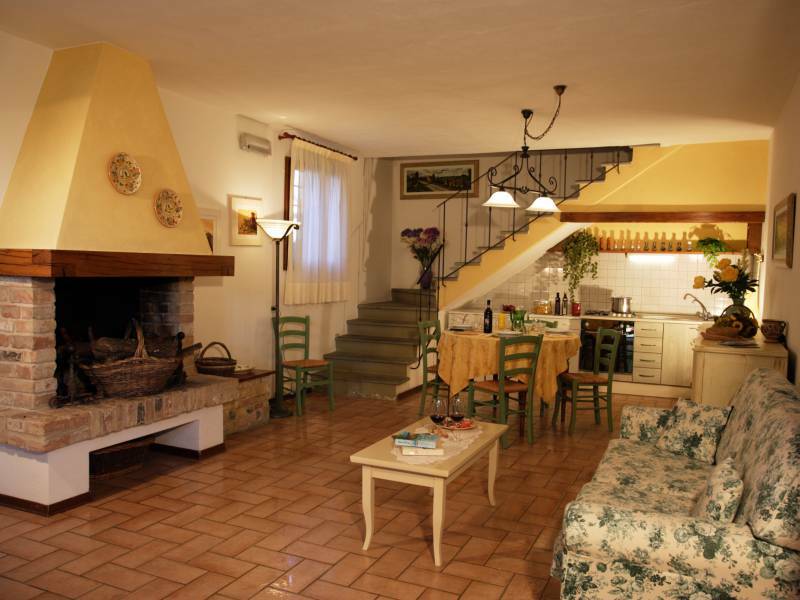 The agriturismo has 8 apartments called Bilocali and Trilocali. 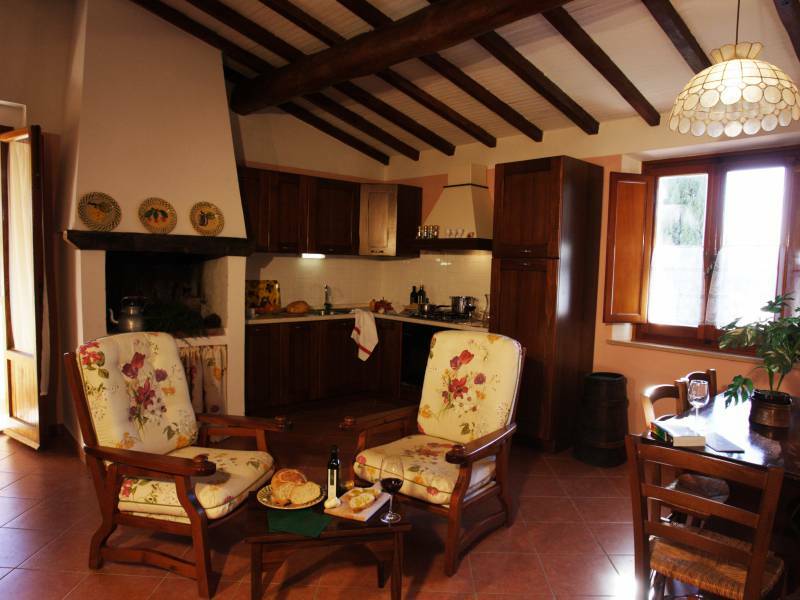 The Bilocali are about 50m2 and consist of a living room with kitchen, one double bedroom and a bathroom with shower. It accommodates 2 + 1 persons. The Trilocali are approximately 75m2 and consist of a living room with kitchen, two double bedrooms and a bathroom with shower. It accommodates 5 +1 persons. 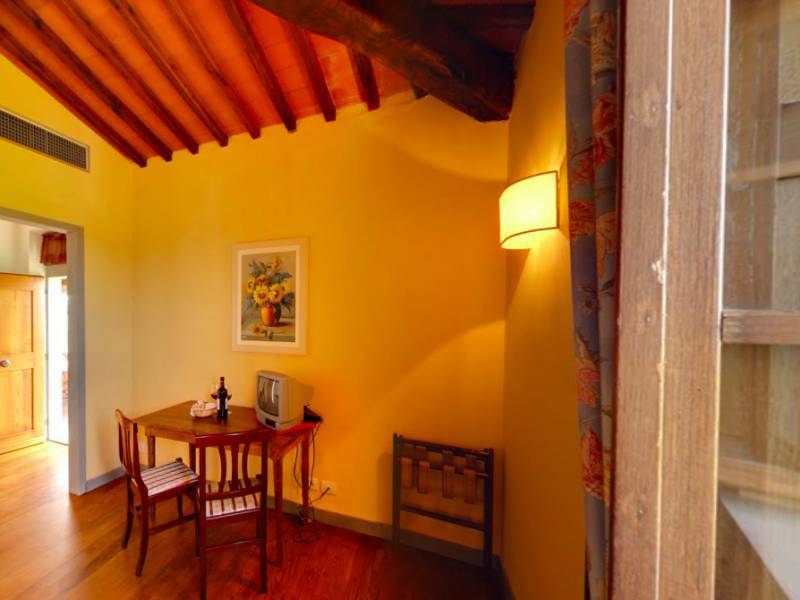 All apartments of the agriturismo have a private garden or terrace (also the apartments on the first floor). There is a swimming pool and barbeque area where joint barbecue evenings are organized. 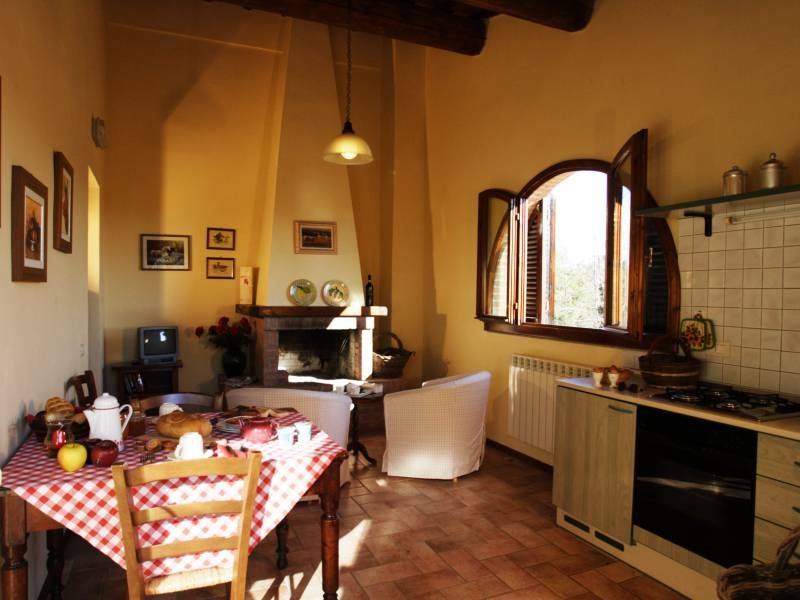 Naturally, also guests of the apartments can make use of the restaurant of the Locanda. 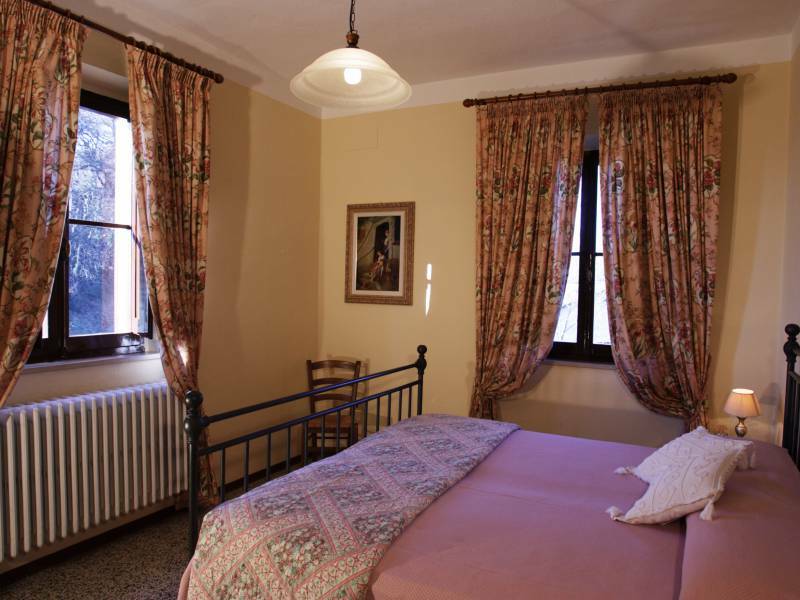 In the Locanda (the pink farmhouse) the rooms are located. There are 15 rooms in total. Here is also the restaurant with terrace. 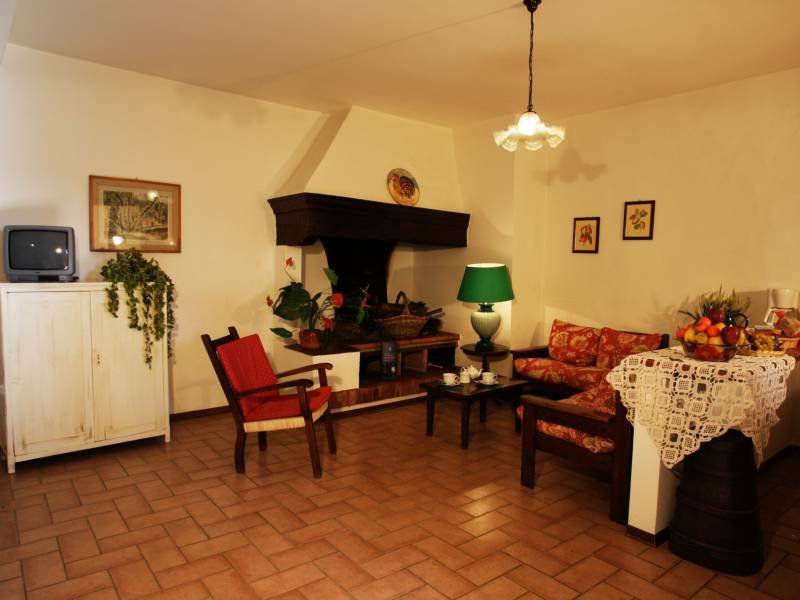 Further there is also a communal living room with fireplace, a breakfast room and a bar. 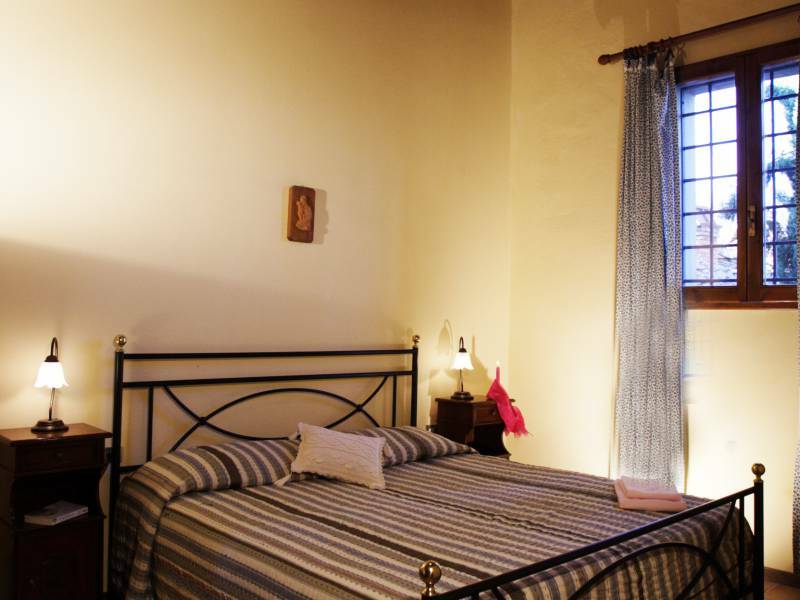 All rooms have a private bathroom and air conditioning. 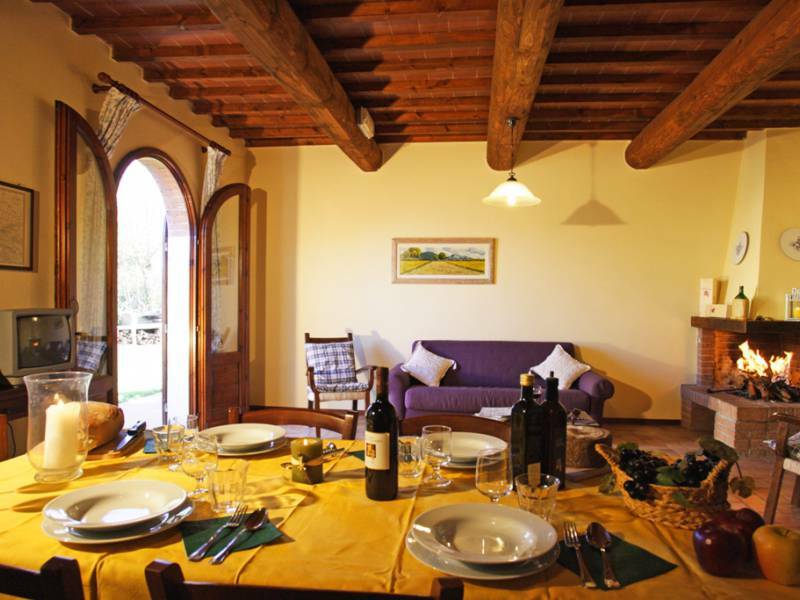 Although the agriturismo is situated in a rural area, it is still centrally located to visit the main Tuscan cities. 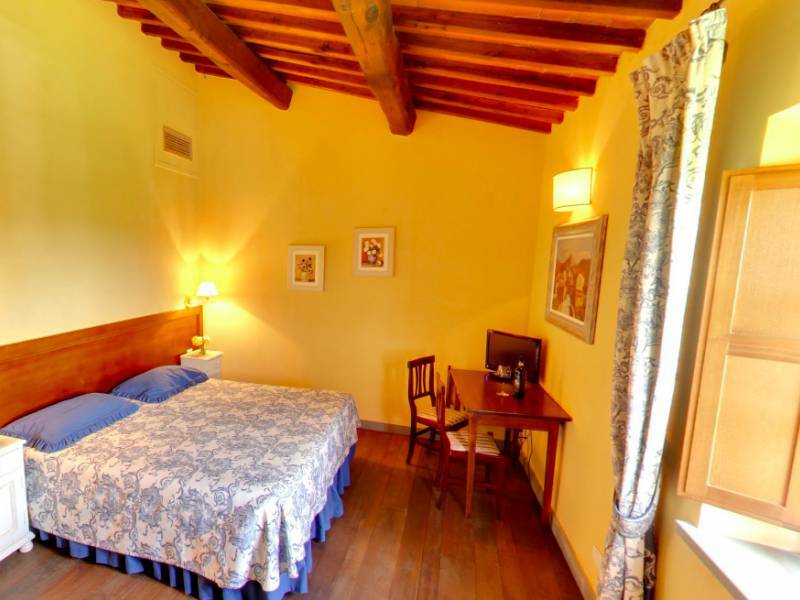 Florence is 30 km, Pisa 50 km, Siena 60 km from the agriturismo. 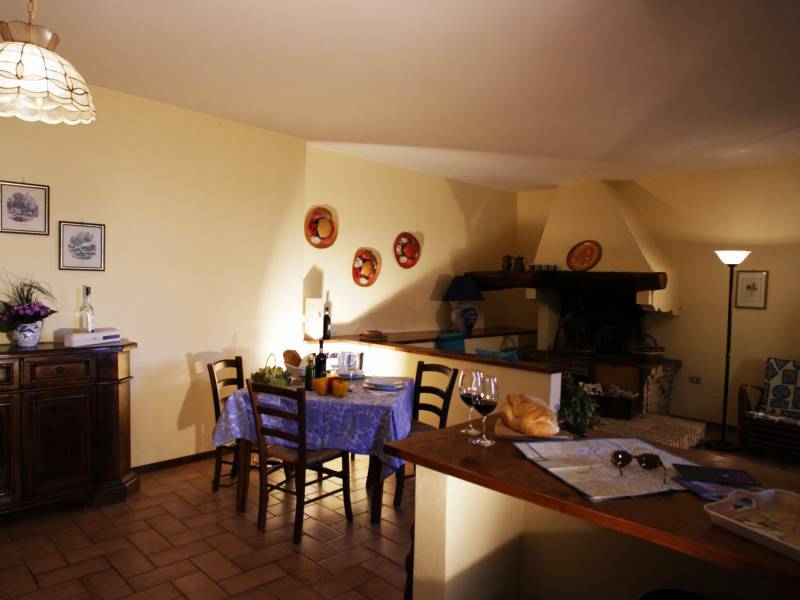 The nearest town with shops and restaurants is about 8 km from the agriturismo. It is a lovely place to relax. 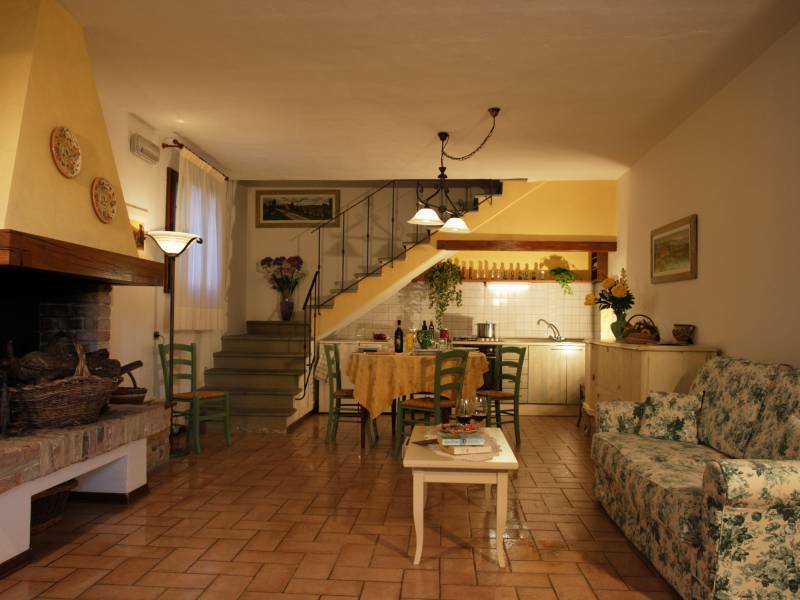 Apartment on the ground floor consisting of a living room with double sofa bed and open kitchen, a bedroom with double bed and a bathroom with shower. The apartment has a table, chairs and umbrella in the shared garden. 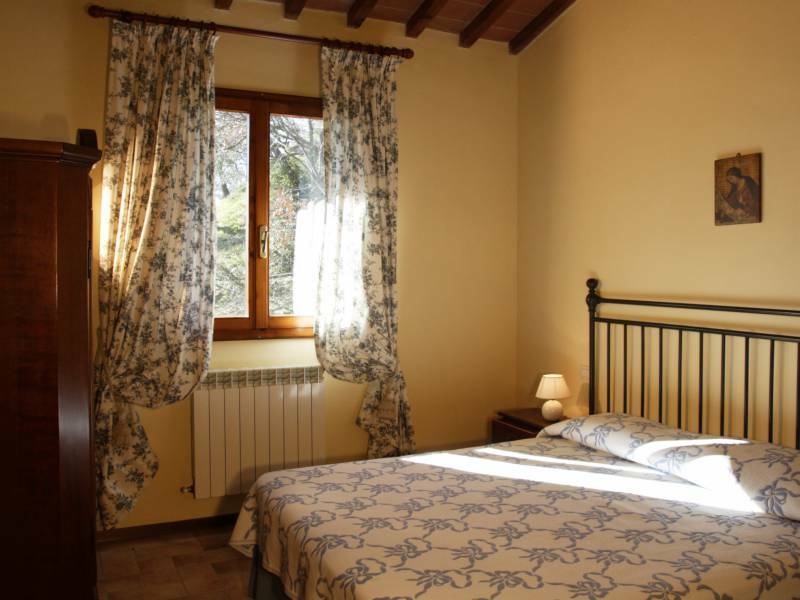 Apartment on the first floor consisting of a living room with open kitchen, a bedroom with double bed and single sofa bed and a bathroom with shower. The apartment has a table, chairs and umbrella in the shared garden and access to the apartment is via an external staircase. Apartment on two levels. On the ground floor there is a living room with open kitchen. 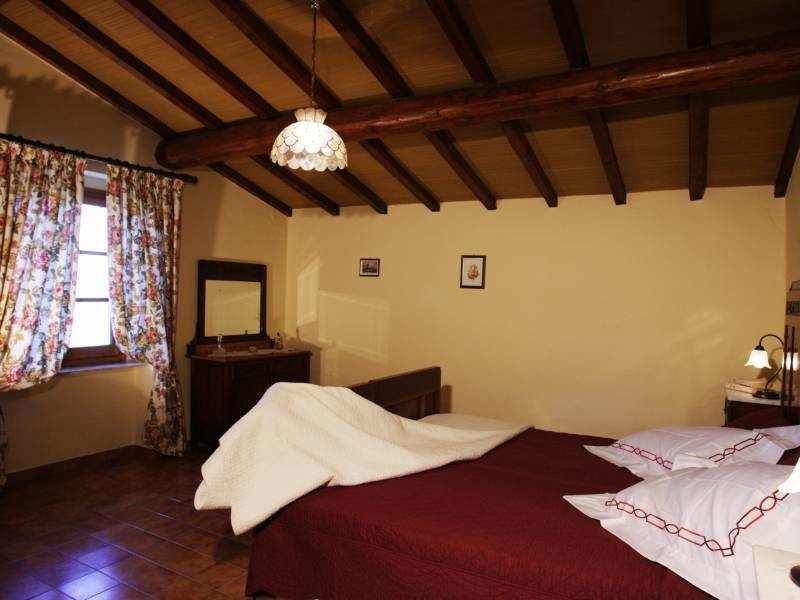 On the first floor there is a bedroom with double bed, a small bedroom with two single beds (only for children) a bathroom with shower. 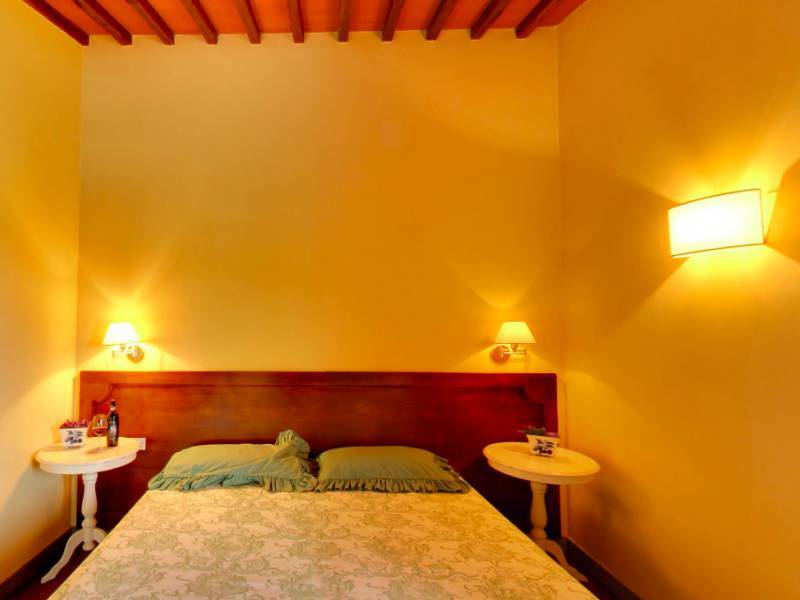 Apartment on the ground floor consisting of a living room with single sofa bed and open kitchen, a bedroom with double bed, a bedroom with three single beds and a bathroom with shower. 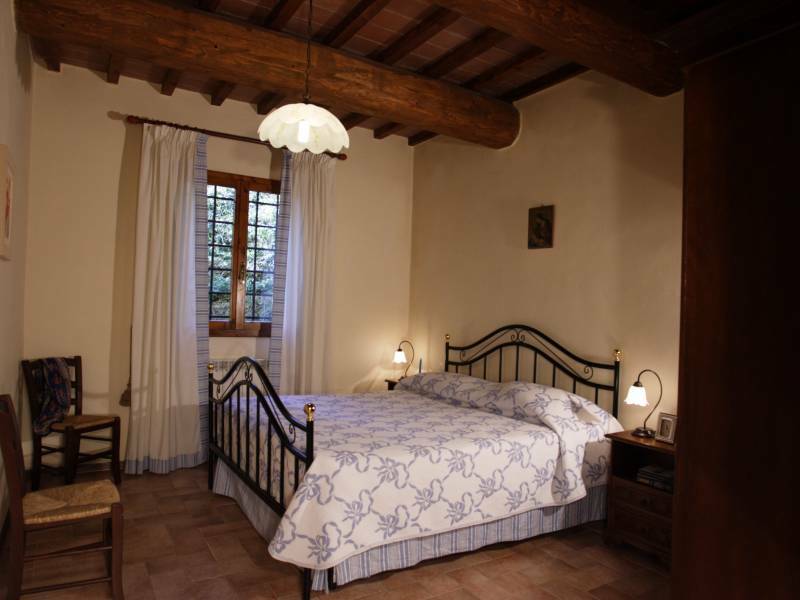 Apartment on the first floor consisting of a living room with open kitchen, a bedroom with double bed, a bedroom with two single beds and a bathroom with shower. 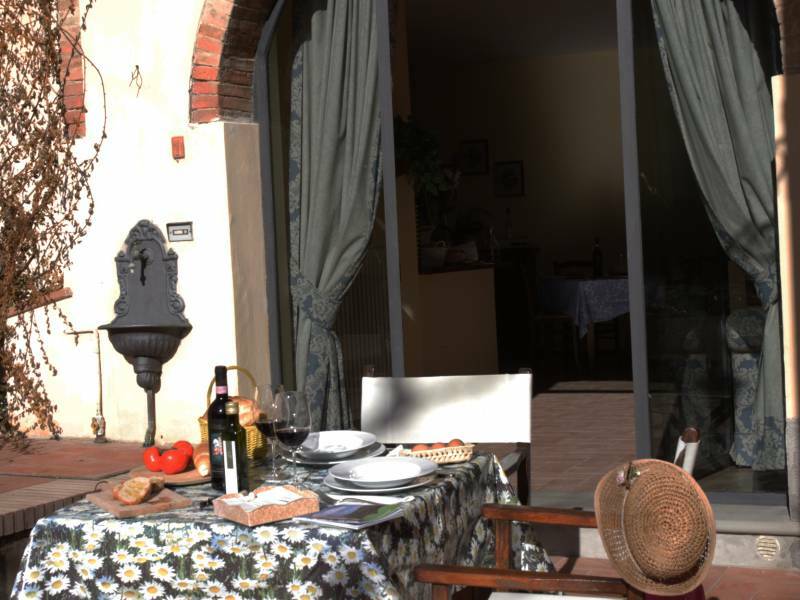 The apartment has a private terrace with table and chairs. 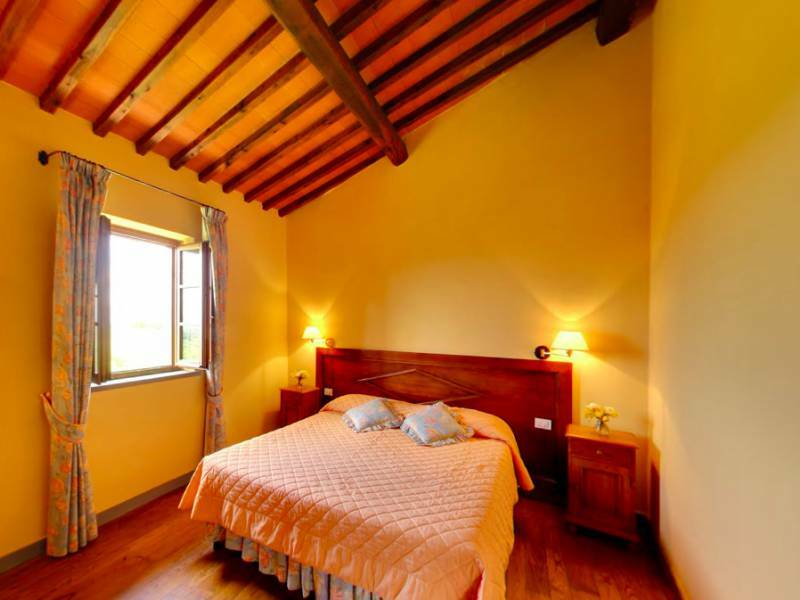 Apartment on the first floor consisting of a living room with open kitchen, a bedroom with double bed, a bedroom with double bed and bunk bed and a bathroom with shower. 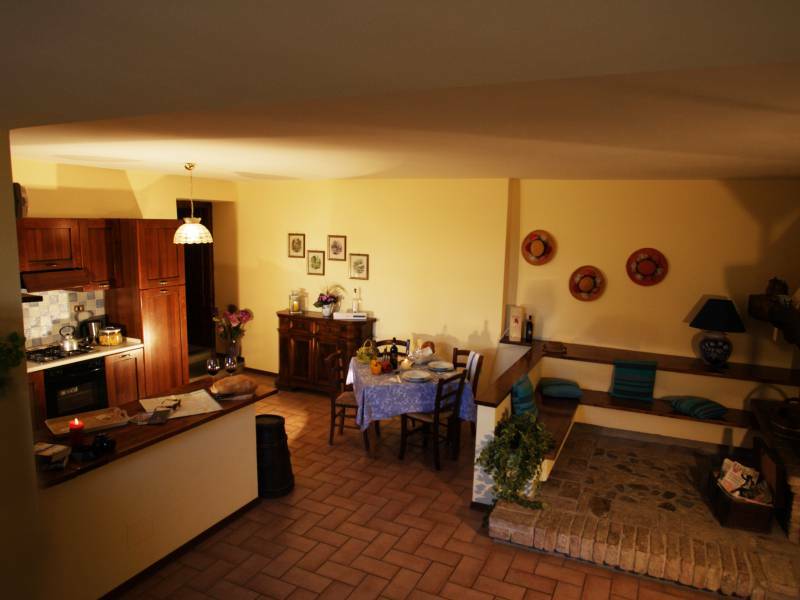 Apartment on the ground floor consisting of a living room with open kitchen, a bedroom with double bed, a bedroom with three single beds and a bathroom with shower. 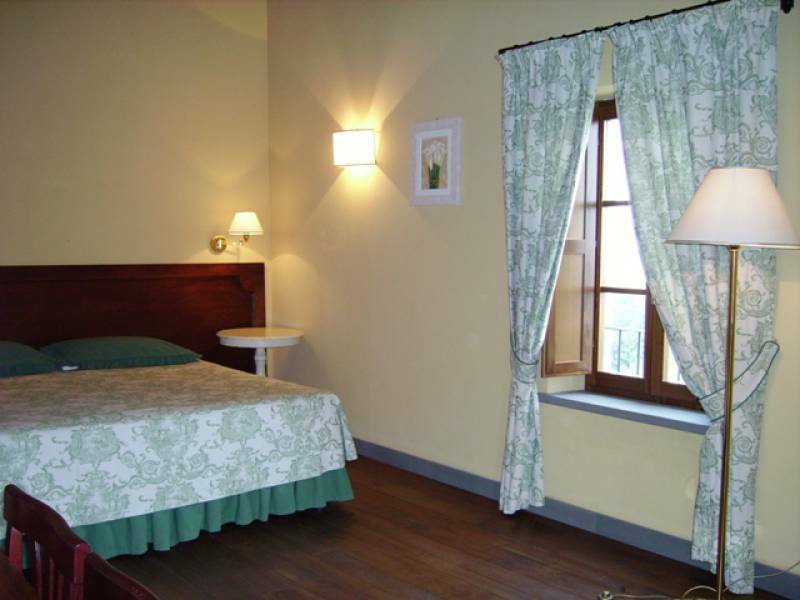 Rooms equipped with tv, air conditioning and hairdryer. Prices are per apartment per day and include water, gas, electricity, bed linen & towels (one set per week) and final cleaning. Also included: wood for the fireplace and barbecue and a bottle of wine. 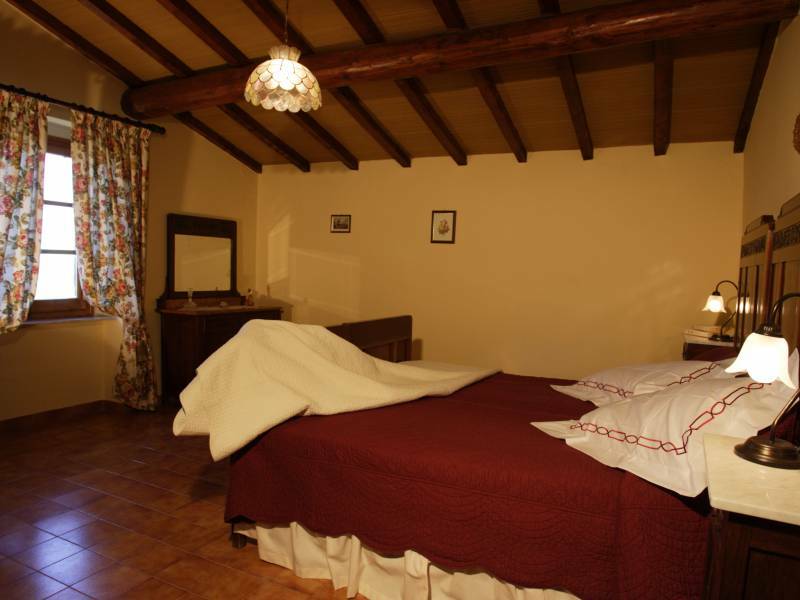 Prices are per room per night, including use of air conditioning or heating and breakfast.